The popular Kona district stretches along almost two-thirds of the west coast of the island of Hawaii (the Big Island) and is jam-packed with stunning natural wonders and every adventure activity you can think of. The year-round sunny weather means that there is a great emphasis on watersports and many outfitters are vying for your custom. You can enjoy unsurpassed adventures, such as swimming with wild dolphins, sea turtles, or manta rays, learn how to scuba dive, surf or stand-up paddle, or view the superb underwater wonderland from the comfort of a submarine. Kailua Village is the historic heart of the Big Island, located on the coastline of Kona, 15 minutes south of the Kona airport. The village was once a quiet little fishing village but is now a vibrant coastal town that offers a variety of accommodation, dining, shopping, and leisure options. 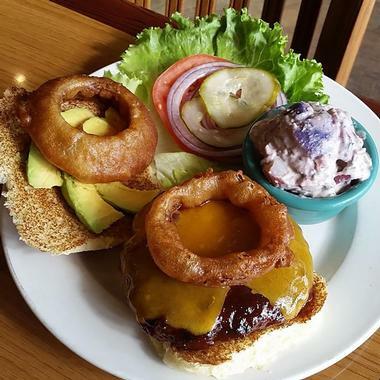 Kailua Village is also home to several historic places that date back to the 1800s – you can easily visit several of these on a self-guided walking tour of the area. 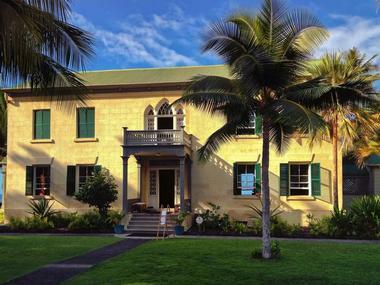 Historical highlights include Hulihee Palace (the summer residence of the Hawaiian royalty) and Mokuaikaua Church (the oldest Christian church on the island), both of which were built in the early 1800s. Kaloko-Honokohau National Historical Park is the ideal place to combine outdoor activities with learning about the fascinating history and culture of the ancient Hawaiians. At the visitors center you can get all the information you need to follow hiking trails that will lead you to see four ahupuaa (mountain to sea land divisions), several sacred temples, and some very old petroglyphs. You can marvel at the advanced engineering skills that enabled these settlers to construct Hawaiian fish ponds and then you can relax along the beach, where you may be lucky enough to see a sea turtle or monk seal. 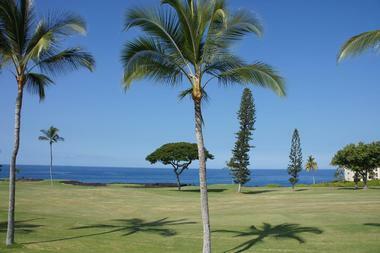 The park is located just south of Kona Airport. 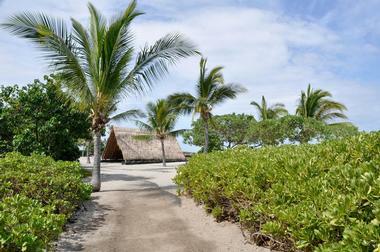 An ancient place of refuge, Puuhonua-o-Honaunau is one of Hawaii’s most sacred historic sites. You can learn about Hawaiian culture and history as you take a self-guided tour of this deeply spiritual site. Highlights of your visit will include the Great Wall, which is up to 17 feet thick in places, and the fierce-looking Kii (wooden totem-like images of the gods who protect the sacred temple). You will also be able to see the royal canoe landing beach and ancient fishing pools. The park offers daily ranger talks, which will greatly enhance your visit and deepen your understanding of the history and culture that surround you. You can learn all about cephalopods (octopus and squid) at the unique Kanaloa Octopus Farm, where octopus and squid are sustainably raised for aquariums, research, and saltwater aquarium hobbyists. The facility is located right on the beach, where fresh seawater can be easily pumped into the breeding tanks. You can learn all about the process by booking one of the guided tours, which are offered every day at 10.00am and 2.00pm. 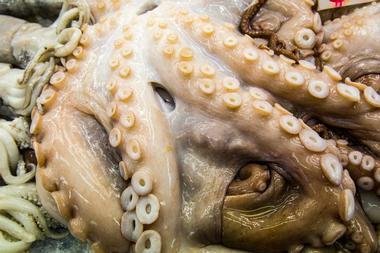 You will have some time to interact with the octopuses and even feed them. Bookings are only done online, and each tour is restricted to 35 visitors, so you are advised to book early to avoid disappointment. At the Hulihee Palace (built in 1838) you can step back in time to the era of the Hawaiian monarchy and see how the royals used to live in the 1800s, when the palace was built to serve as a summer vacation home for the king. The lovely Victorian-style home is filled with beautiful furniture, ornaments, and Victorian relics and is now operated as a museum. Guided tours of the palace take place twice daily at 10.00am and 1.00pm, and on one Sunday of each month you can attend the free Hulihee Palace Concert featuring the Hulihee Palace Band and the Merry Monarchs Chorale. After you tour you can visit the on-site gift shop. Keauhou Bay is located a short drive south of Kailua Village and is another of Kona’s cultural areas, having formerly been a favorite vacation destination for Hawaiian royalty. Besides enjoying a multitude of watersports on the calm, protected waters of the bay, you can also take a cultural tour of all the historical sites, including several restored temples. A highlight of any visit to the Keauhou coastline is the opportunity to swim and snorkel with the many giant manta rays that are attracted close to the shore to feed on microscopic plankton at night. During the day you can enjoy snorkeling, paddleboarding, and kayaking or try your hand at fishing with the locals. 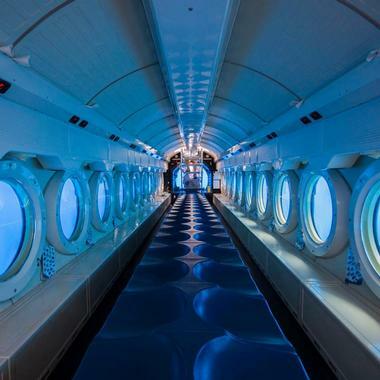 Imagine drifting silently through a 25-acre natural coral reef as a multitude of colorful marine creatures surround your comfortable air-conditioned submarine. Atlantis Adventures give even the most ardent landlubber the chance to experience the magical underwater wonderland of Hawaii on board a safe, silent, and eco-friendly submarine. Your unique adventure will take you to depths of up to 100 feet, surrounded by sharks, stingrays, eels, turtles, and a multitude of colorful tropical reef fish. Your journey takes around 45 minutes and is a marvelous way to enjoy the spectacular marine life without having to get your feet wet, and the adventure is particularly great for younger children who cannot dive or snorkel. 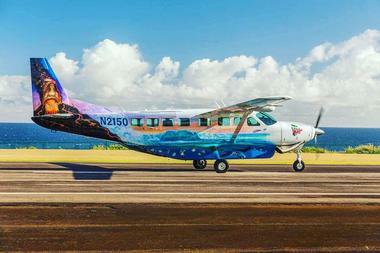 One of the most unforgettable ways to see the Big Island is from the air on a scheduled tour or private charter with Big Island Air. The company has been in existence for over 30 years and operates a fleet of nine-seater Cessna Caravans, which guarantee each passenger a window seat. You can look forward to seeing miles and miles of rugged coastline, sensational beaches, deep verdant valleys, waterfalls, rainforests, and five of Hawaii’s volcanoes, including the active Kilauea Volcano. Big Island Air offer a selection of different tours, including a sunset option, when the twilight affords spectacular views of the red-hot lava fields below. The lure of Hawaii’s underwater wonderland is what draws thousands of visitors to the island each year. Big Island Divers is one of the most trusted and popular outfitters on the Big Island, specializing in turning your diving dreams into unforgettable scuba and snorkeling adventures. If you have never tried scuba diving before, you can enroll in lessons and get your certification on site. 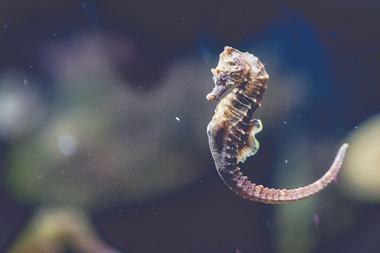 For more experienced divers, the company offers some pretty unique diving opportunities, including various day-time scuba excursions and the unique Blackwater Night Dives. If you prefer to snorkel, you can go on the Dolphin Watch or the Manta Ray Snorkeling Adventure or simply enjoy reef snorkeling. 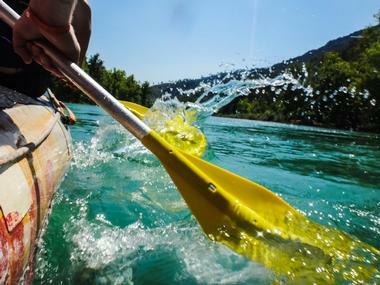 The company also offers equipment rental, including kayaks, canoes, paddleboards, and GoPro underwater cameras. 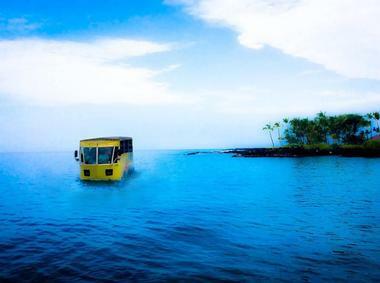 Big Island Duck Adventures is waiting to thrill you with a very unusual island tour that seamlessly moves from land to sea in an amphibious bus/boat. At first glance, your Hydra-Terra vehicle looks like an ordinary tour bus until you notice the unusual triangular front, which is intended to glide easily through water. Your 2-hour tour starts with a 7-mile drive along the beautiful coastline, passing several historical and cultural sites along the way. Then it’s into the sea for the “boat” portion of your tour, which offers a completely different view of the coastline and the chance to see dolphins and whales. Big Island Jump are leaders in the field of adventure tourism on the Big Island, offering visitors the chance to experience some of the island’s top off-the-beaten-track destinations. Adventure seekers can choose from a variety of unique Hawaiian experiences, including hiking close to an active volcano, wriggling your toes in genuine green (and black) sea sand, swimming with dolphins, and much more. If you would like a bird’s-eye view of the Big Island, together with heart-stopping excitement, you can try your hand at skydiving with an experienced guide to show you the way. 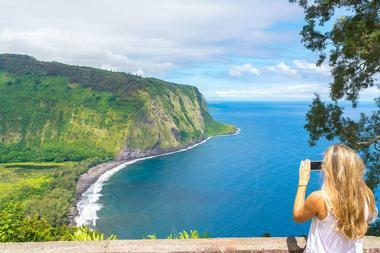 Other tours include visiting the beautiful Waipio coastline, Akaka Falls, and Hawaii Volcanoes National Park. Joining an adventure with Captain Zodiac Raft Expeditions is a truly memorable add-on to your Hawaii vacation. Captain Zodiac has been taking visitors on thrilling zodiac adventures for over 40 years and has the expertise to ensure you have a wonderful time exploring the rugged coastline of the Big Island while meeting some of the amazing marine wildlife. You can choose from several scheduled tours or arrange a private charter. Scheduled tours last from 3 to 5 hours and include snorkeling excursions, swimming with wild dolphins, and seasonal whale watching, and the highly maneuverable zodiacs can get you really close to some amazing lava tubes, sea caves, and blow holes. 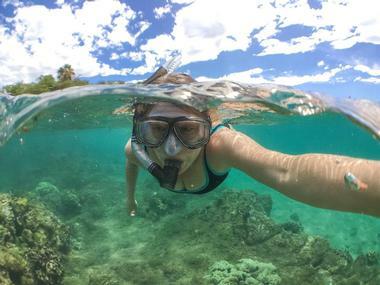 No trip to the Big Island would be complete without donning a mask and snorkel and slipping into the crystal-clear waters of Kealakekua Bay to see some of the island’s wonderful marine life. Dolphin Discoveries offers a selection of tours that include snorkeling adventures in the Kealakekua Marine Reserve, where you can also see a monument to the explorer Captain Cook. In addition to snorkeling, Dolphin Discoveries specialize in introducing you to two of life’s greatest adventures – swimming with wild dolphins and whale watching. Dolphin Discoveries has nearly 20 years of experience and a 98% success rate at finding dolphins and whales around Kona. Making eye contact with a massive manta ray could be the highlight of your visit to Hawaii when you join an evening manta ray snorkel adventure with Fair Wind Big Island Ocean Guides. 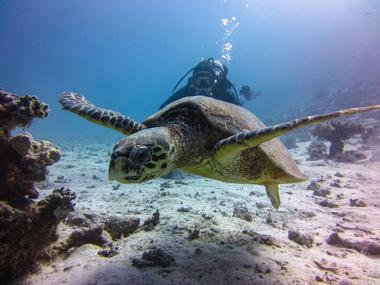 In addition to the manta ray adventure, Fair Wind offers a variety of other snorkeling excursions in both Kealakekua Marine Reserve and remote south Kona. Most of the morning tours last around 3 to 5 hours and include expert assistance, all the necessary snorkeling equipment, and light meals. If you prefer a shorter excursion, you can join an afternoon tour (no meals included). Most of the snorkeling experiences are family friendly and suitable for all levels of ability, but you do need to be a competent swimmer to go on the manta ray adventure. When you need a brief break from the sun, sand, and waters of the Big Island, Fantastic Race Kona is a fun-filled activity for the whole family that combines a self-guided tour/race with treasure hunting and problem solving. This unique activity is both educational and a lot of fun. 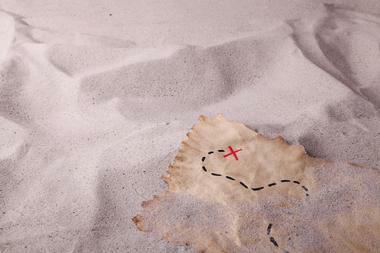 Each group will be given an intriguing riddle to solve, which will involve finding various clues, seeking buried treasure, and unraveling the mysteries of the Hawaiian gods. 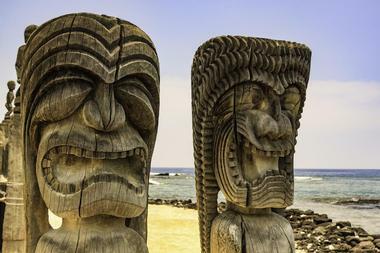 Along the way, you will visit several historical sites and learn fascinating facts about Hawaiian history and culture and even sample some local cuisine. Everyone finishing the race will be rewarded with a free drink. Book early to avoid disappointment – the races usually sell out well in advance. If you think it’s time to swap your snorkel and flippers for a pair of hiking boots, you can sign up for a Kohala Waterfalls Adventure. This 8-hour excursion will take you to see some of the most scenic parts of the Big Island and includes an off-road ride in a six-wheel-drive followed by a relaxed guided hike through a private nature reserve. 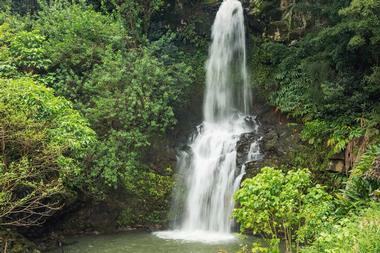 Along the way your knowledgeable guide will tell you about the flora and fauna as well as Hawaiian history and culture. The highlight of your day will be swimming under the cascading waterfalls before you set off to enjoy a private picnic lunch in a scenic lookout spot. 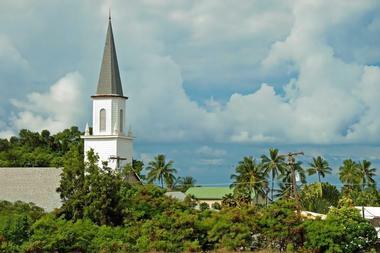 You will also have time for a short visit to historic Hawi town. At the Kona Joe Coffee Farm, you can find out all you ever wanted to know about how your favorite mood-enhancer is produced and processed. There are several ways to tour the farm, including a completely free self-guided tour, but it is well worth the small additional charge to join one of the hourly fully guided tours. You will learn about the entire process, including cultivation, picking, processing, roasting, and brewing, and then get to sample the end product and take home a souvenir engraved coffee mug. For an even more in-depth experience, you can roast your own batch of coffee beans under the guidance of one of the roast masters. Your coffee beans will then be packaged for you to take home. The gift shop is stocked with delightful coffee-themed souvenirs. 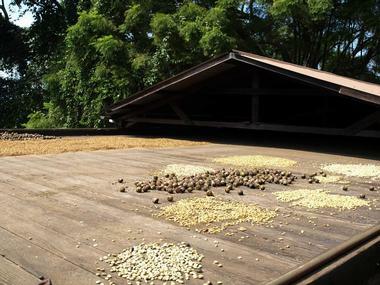 You can learn all about Hawaii’s most popular export on a free tour of the Mountain Thunder Coffee Farm, located just 15 minutes from Kailua Kona. The farm offers free tours every hour from 10.00am to 4.00pm daily (and Japanese tours on Mondays and Fridays). You will learn all about the cultivation and processing of coffee and get the chance to taste some of the different blends and roasts produced on the farm. If you would like to get really hands-on, you can book the popular 2-hour Roast Master Experience, where you will learn the intricacies of selecting beans and roasting them to perfection. 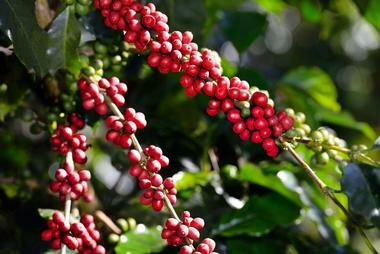 Taking home your very own hand-blended coffee could just be the highlight of your Hawaiian vacation. 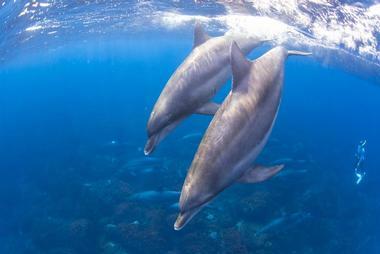 A highlight of any visit to Hawaii has to be a close encounter with some of the island’s magnificent marine life. 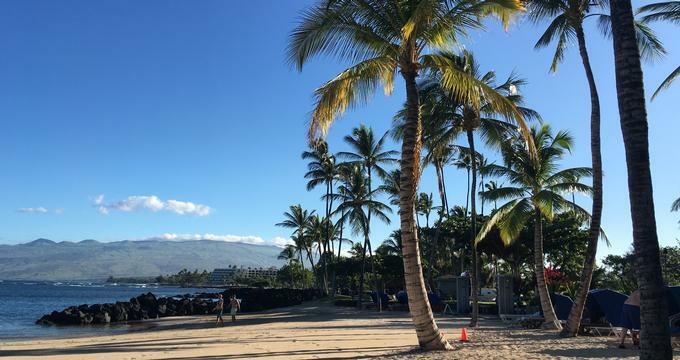 Of course, it is possible to snorkel off the beach in many locations, but many previous visitors consider their Sea Quest Snorkel Tour to be the most memorable part of their Hawaii vacation. Sea Quest offers a variety of tours for you to choose from, including the once-in-a-lifetime chance to swim with giant manta rays or wild dolphins. 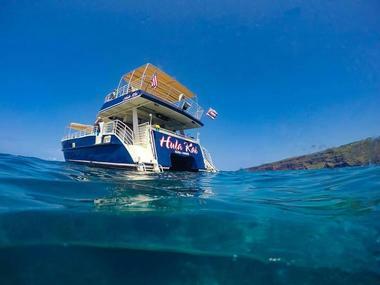 A good option for families and less experienced snorkelers, the Captain Cook Express Tour will take you to explore the superb marine life in the protected waters of Kealakekua Bay. Other tours will take you past sea caves, lava tubes, and blow holes and out to the open waters to seek dolphins and whales. Learning how to surf or improving your surfing ability will add a whole new dimension to your Hawaii vacation. The team at Surf Big Hawaii has years of experience in teaching novices how to get surfing (or stand-up paddling) in record-quick times. Your experience starts on dry land as you learn the basics on their surf-simulator, which means that when you get into the water you will already have a good idea of how it feels to catch a wave. The company offers both private and semi-private (two to three people) lessons, which concentrate on explaining the physics and philosophy of surfing so that you will be able to improve your skills really quickly. 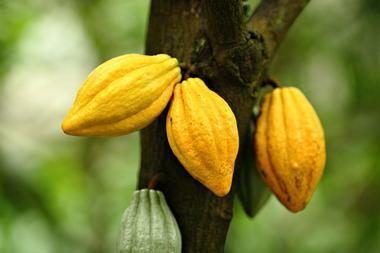 Chocolate lovers will be excited to hear that some of the world’s best and most exclusive cacao is cultivated right in the heart of the Big Island, on the slopes of the Hualalai Mountain. The Original Hawaiian Chocolate Factory is proud to be the first Hawaiian producer of top quality single-origin cocoa beans that are hand-picked, sun-dried, and processed on site. If you would like to see how your favorite indulgence is made, you can book a tour of the cocoa farm and factory – tours take around 1 hour and you will see the entire process from the plantation to the final product. Tours are offered on Wednesdays and Fridays only and have to be booked in advance. The on-site chocolate shop is open from Tuesday to Friday from 10.00am to 3.00pm. Essential viewing for families (children must be a least 6 years old) and all wildlife enthusiasts, the Three Ring Ranch in Kailua-Kona is a privately owned sanctuary for a wide variety of endangered, rare, and exotic animals and birds. 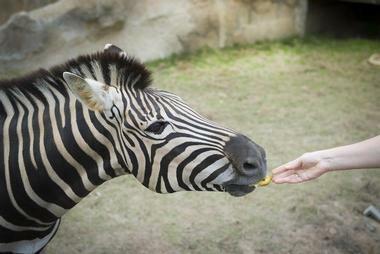 Although the sanctuary is not generally open to the public, it is possible to book a 2-hour tour of the facility, which will enable you to get up close to some of the intriguing animals, which are either permanent residents or are being rehabilitated after injury. You can look forward to seeing both unusual animals like bison, zebra, and monkeys as well as domestic animals like horses and chickens. One hundred percent of the cost of your tour is used to sustain the sanctuary. 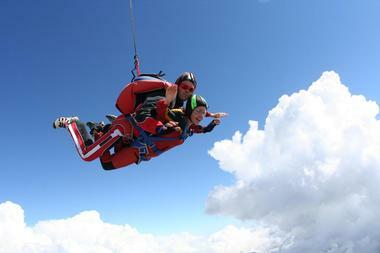 Make the highlight of your vacation on the Big Island an exhilarating parasail adventure with UFO Parasail. Get a bird’s-eye view of the amazing Hawaiian coastline as you float through the air in your harness, either on your own or in tandem. UFO Parasail has been conducting parasail excursions on the Big Island since 1985 and is a leader in the field, ensuring that you have a safe and wonderfully memorable adventure. You can expect to be on the parasail boat (which takes up to eight people at a time) for around an hour, and you do not even have to get your feet wet – all take-offs and landings are safe and dry. You can book online – please check weight restrictions. Setting off on a guided tour to learn all about the outstanding natural wonders as well as the history and culture of the Big Island is an essential add-on to any Hawaiian vacation. Wasabi Tours offers a variety of small-tour excursions all over the island, and you will definitely find one to suit your particular tastes and interests. A few of the most popular tours include the Big Island Grand Circle Tour, the Twilight Volcano Tour, and the Historic Kona and Farm Tour. You also have the chance to combine two of the most popular activities on the island on the Fire and Water Combo Tour, which includes both seeing the volcanoes and snorkeling with wild dolphins. Take your pick or let Wasabi Tours customize a private tour for your group.